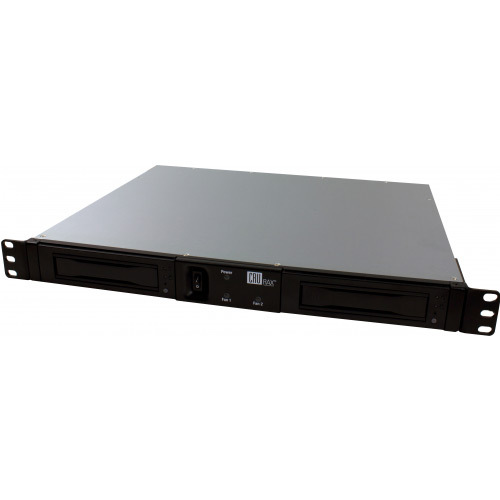 Digital Cinema, RAX215DC6G-XJ, 1U 2 bay Rack, JBOD, SATA 6.0Gbps, 1x 8088 Mini SAS, Single P/S, DX115 Frames Only (No Carriers), Black [CC4161-1199-0000] : Datastor, Datastor Australia is a value-added distributor of IT products specializing in Data Storage, Data Protection, Business Continuity and Virtualization. The CRU 1U, 2bay RAX215DC JBOD Storage Rack is a proprietary, high quality and highly reliable storage solution designed specifically for our Digital Cinema customers. The RAX215DC allows for the installation of up to (2) DX115 DC SAS:SATA Carriers. CRU is the preferred supplier of storage solutions for the digital cinema industry.